A nondescript cave in Israel was the location of a major discovery recently: a lead and wood artifact believed to be the earliest example of smelted lead in the Eastern Mediterranean region. The object, which looks like a wand or small dagger, was found attached to an intact wooden shaft during a field survey at Ashalim Cave led by Naama Yahalom-Mack, a postdoctoral student from The Hebrew University of Jerusalem. Findings were published in the scientific journal Plos One. Lead is a soft, malleable metal with a bluish-white color and is rarely found on its own, meaning it has to be extracted from the ore that contains it through a process called smelting – or by heating and melting it. The researchers dated the wand to the late 5th millennium BCE – or the Late Copper Age. Smelted lead had never before been dated to this time period, according to Yahalom-Mack. 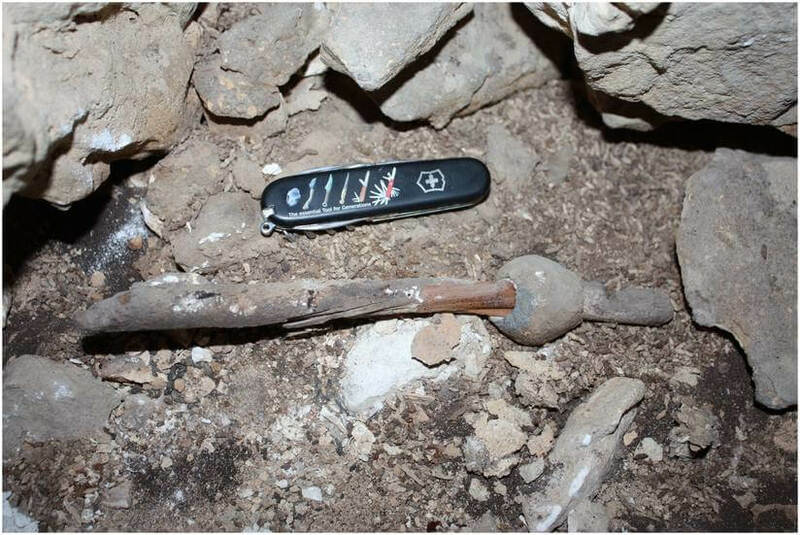 Consisting of a 22.4 cm long wooden shaft and a perforated lead object still attached to it, the wand is the only pre-4th millennium lead artifact ever uncovered in the region, and sheds new light on the early metallurgy of lead, its sources and its technological role at the formative stages of metal production, Yahalom-Mack said. Lead doesn’t tend to occur naturally in the area in which the wand was found, so after discovering the artifact, the researchers studied its isotopes (variations on an element) to determine its origin. An analysis showed that the artifact “was … likely smelted from lead ores originating” in Anatolia, Turkey.